Waterfalls are always stunning, but pink waterfalls? Now that is a whole other level. And that’s exactly what you’ll find at Waterton Lake National Park in Alberta. 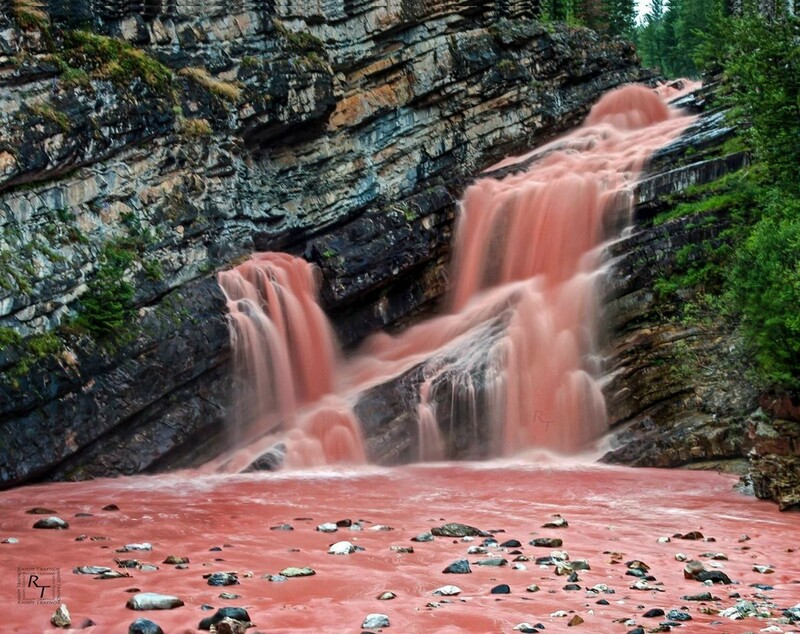 Although the waterfall normally runs clear, it occasionally turns bright pink after heavy rainfall, which stirs up a sediment called argolite that shines pink when the light hits it. The result is a gorgeous Insta-worthy waterfall that looks as though it came straight out of Candy Land. Don’t expect to see this on a regular day, though. The pink hue is as elusive as it is beautiful, and the conditions have to be just right for the water to turn pink. For your best chance to see this phenomenon, visit the falls during the rainy season in spring and summer. Even if you don’t get to see the water turn pink, the falls on their own are well worth the visit.